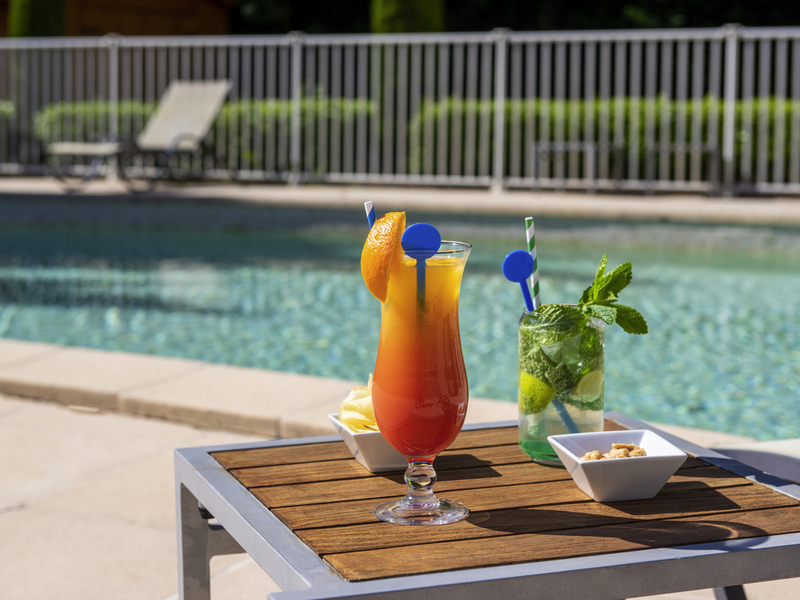 Make the most of the sunshine at Novotel Aix-en-Provence Beaumanoir. Just a stone's throw from downtown Aix-en-Provence, and with direct access to the highway, our location is ideal for business stays or family leisure. The hotel features large meeting ro oms, free high-speed WIFI, games for children, outdoor pool with solarium, a restaurant and free parking. From the shaded patio or from the restaurant terrace, appreciate the sweet Provençal life at Novotel. Perfectly situated just a stone's throw from the Cours Mirabeau and downtown Aix-en-Provence, the location of the Novotel Beaumanoir allows easy access to the hills of Sainte-Victoire, the Marseilles Calanques and the MuCEM. Spacious, contemporary in design, and adaptable, the Novotel room is truly a place for living. Perfect for all your needs. Our relaxing Superior Room is suitable for both business travelers and families of up to 2 adults and 2 children (connecting rooms available). Facilities include air conditioning, flat-screen television, WIFI, tea and coffee making facilities and minibar. Listen to the chorus of cicadas on our shaded terrace while enjoying the delicious, healthy and balanced cuisine offered by our chef, Philippe.